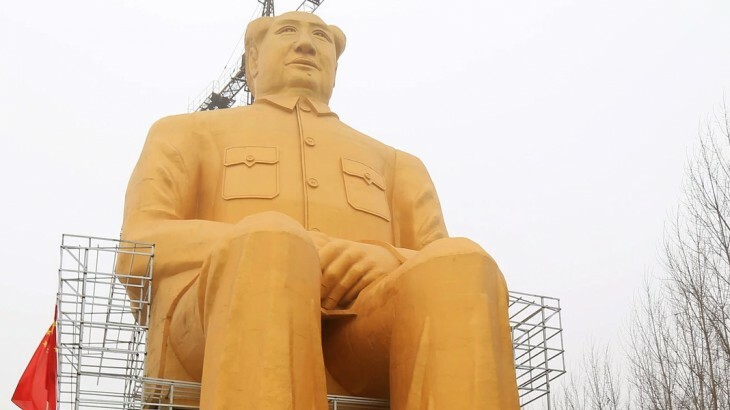 A giant golden statue of Chairman Mao – China’s founding father – has been erected in the countryside of Henan province. 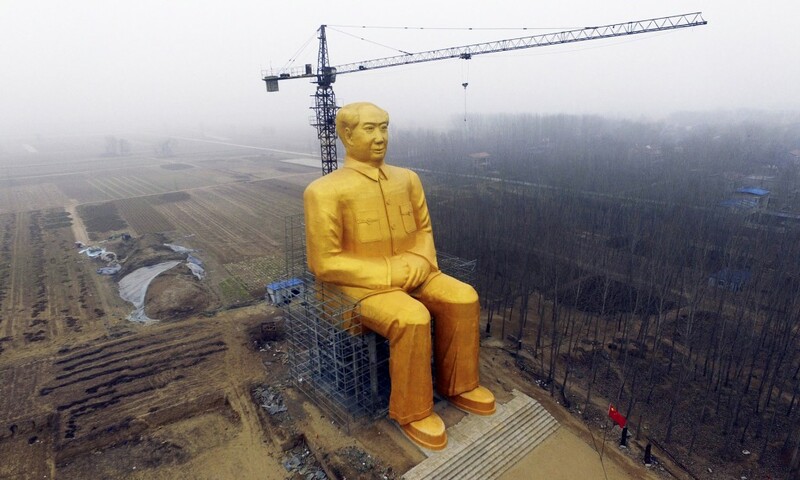 Standing at over 37 metres tall near Kaifeng city and built by a group of local villagers and business people, the golden statue is reported to have cost over 3 million Yuan (around $460,000), taken over nine months to finish and built with steel and concrete, finished with vivid gold paint. It depicts Chairman Mao in a seated position with his hands resting on his lap, looking out over the Chinese countryside. Photographs of the statue spread quickly on the Chinese internet this week after being published by a Henan news website. It may be that the statue is an effort to bring tourism to the area for those who are looking to book China holidays, as the province is famous for the Longmen Grottoes, as visited on our Ancient China tour. Chairman Mao is still widely admired across China, 40 years after his death. His face appears on banknotes and on many national monuments, including Beijing’s Tiananmen Square. His mausoleum in the square is one of China’s most visited attractions, commanding large queues and weeping citizens as they gaze upon his mummified body. His fast-paced economic policies for the sake of industrialisation, known as the Great Leap Forward, pushed much of China into famine in the late 1950s, especially in Henan province where the statue is based. It’s still one of China’s most poverty stricken areas and users on Weibo, China’s micro blog version of Twitter, have been quick to criticise its location, according to the Daily Mail. Others have said that the statue’s face is not to his likeness. However, his legacy is enjoying something of a revival under Chinese President Xi Jinping, as stated by The Guardian. Go on a China Tour, with the UK’s leading China Experts, Wendy Wu Tours. Our award winning escorted, fully inclusive tours visit all the major sights of China for an unforgettable holiday.